Toyota Motor Corporation and Panasonic Corporation have signed a business-integration contract and a JV contract toward the establishment of a new company related to the automotive prismatic battery business. 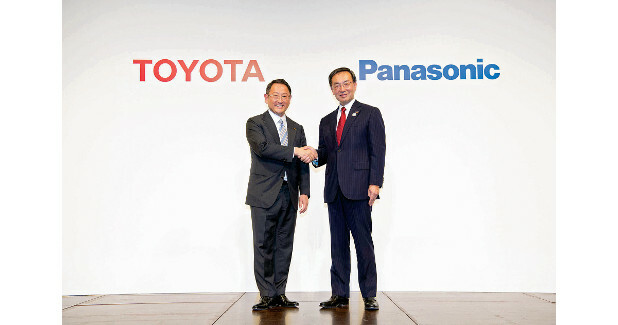 The main points of the agreements included that Toyota and Panasonic will establish a JV by the end of 2020. The ratio of equity participation in the JV will be 51 per cent for Toyota and 49 per cent for Panasonic. The scope of the JV's business operations will cover research, development, production engineering, manufacturing, procurement, order receipt and management related to automotive prismatic lithium-ion batteries, solid-state batteries and advanced batteries. Shigeki Terashi, Executive Vice President, Toyota said, "Together with Panasonic, we want to hone our competitiveness in batteries, which represent one of the core technologies of electrified vehicles. By contributing to the popularisation of Toyota's and other automakers' EVs, we want to help find solutions to issues such as global warming, environment-related challenges and energy-related challenges." Toyota is to contribute know-how and market data related to electrified vehicles, advanced technologies related to solid-state batteries and more. While Panasonic will contribute technologies related to high-capacity and high-output batteries that are high-quality and extremely safe.